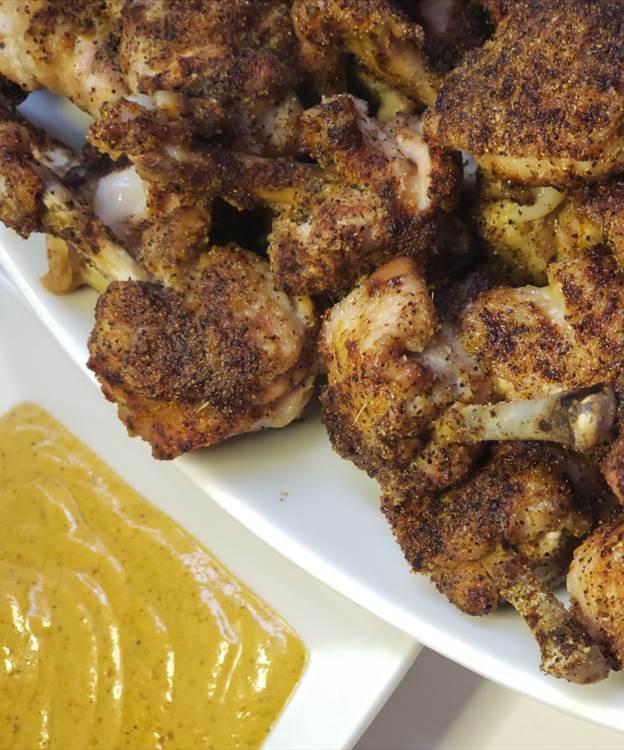 This is my absolute favorite chicken wing recipe. 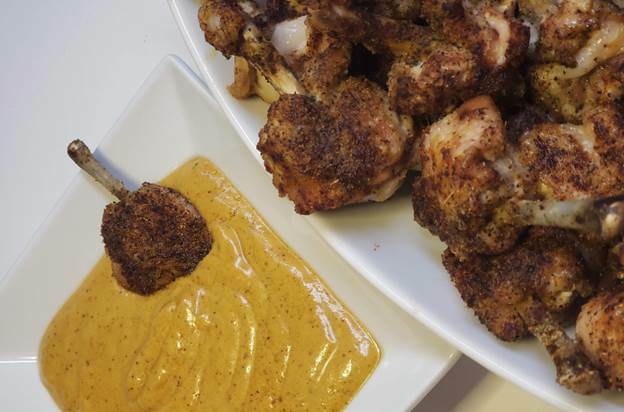 I may tweak the dipping sauce from time to time, but I always make chicken lollipops. Turning every piece into a “drumette” is not difficult or very time consuming, but it elevates the dish and the experience. This is still finger-food, but a little more civilized. The bones are “frenched” so they look neat and your fingers stay clean (for the most part.) The wingette-portion, which is normally a struggle to eat gracefully, becomes a single-bite that slides off the bone as if were on a cocktail pick. Elevate your game with this delicious snack! If you have never seen Jacques Pépin debone a chicken, you should. It’s amazing. It made me want to learn and to do more in the kitchen. I had first seen him demonstrate this technique on an older show, which I presumed to be heavily edited in order to perpetrate this witchcraft. 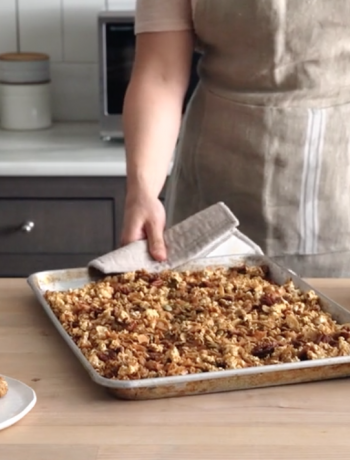 However, he has been demonstrating this on Facebook Live for FOOD52 and elsewhere in real-time, and it remains to this day, mesmerizing. Now, I completely debone every chicken and turkey that I roast… no exceptions. A 10-minute master-class changed the way I cook, forever. But that first bit. The first 2 minutes of the video is where you will find gold. This is where Jacques Pépin showed me how to make my first chicken lollipop. I only tweaked it to require a little less muscle-power. While good, old Jacques effortlessly rips flesh and bone from ligament and sinew like he was auditioning for Game of Thrones, I lack the brutal elegance of his masterful technique. A few additional cuts with a paring knife makes up for it. The actual drumette portion is simply frenched to expose the bone and clean-up the end. 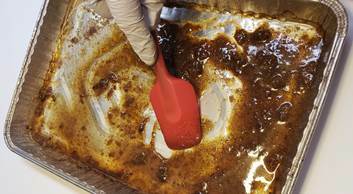 Line the broiling pan with aluminum foil for easy cleanup, or use a ¼ sheet pan liner tray like I did. 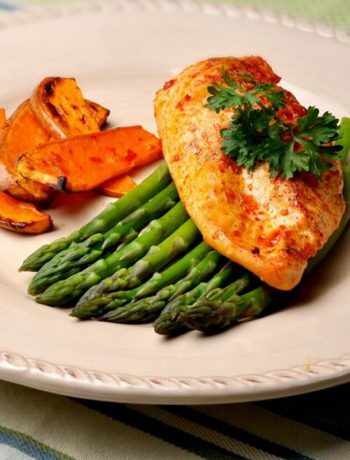 Arrange the portions in the pan in a single layer. 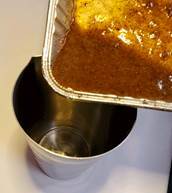 We need to season this, so I would recommend placing the tray in the sink, or on a cutting board over the sink. 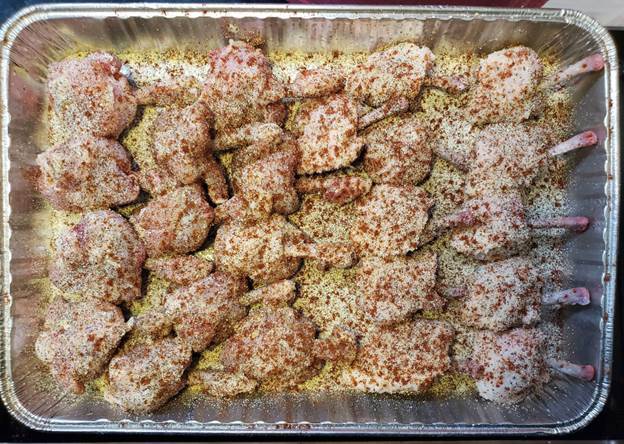 Sprinkle evenly and generously with salt, pepper, garlic powder, onion powder and paprika. Spritz or drizzle with olive oil to set the seasoning. Turn them all over and do the same on the other side. Don’t worry about wasting seasoning in the pan, this will all be used in the pan-driven dipping sauce. One nice thing about chicken wings is that they are difficult to overcook. They have plenty of collagen and a hearty, skin/meat ratio to keep them moist. I set the Sharp Superheated Steam Countertop Oven to BAKE/REHEAT, 485°F, for 50 minutes KNOWING FULL WELL that I was never going to leave them in for that long. I always cook to my desired doneness – so I am looking for brown and crispy results. Once I am satisfied, I cancel-out the rest of the time. I pulled my chicken lollipops out of the oven after 30 minutes once they were golden, brown and delicious. Use your judgement. Your refrigerator may be colder than mine. You may have taken more time to prepare the lollipops and the wings became warmer than mine. There is really no way to tell how cold your chicken was to start with, so I hesitate to give you an exact time. 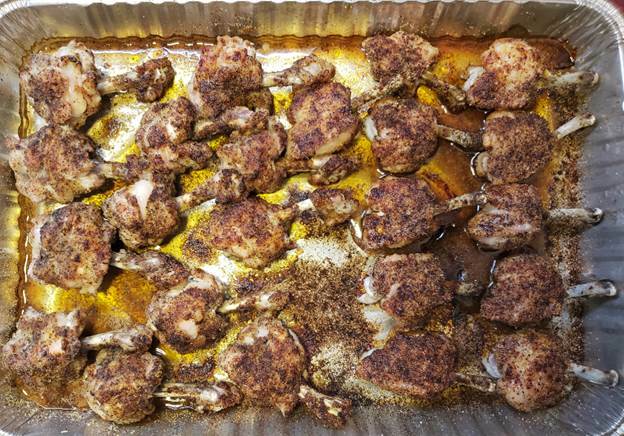 When your chicken looks like this – it’s done! Move the chicken to a covered plate to keep warm. Add a splash of vermouth to the pan and use a rubber spatula (not a metal utensil) to loosen all the brown toasty bits and seasoning from the pan to make their flavors available. Pour every last drop of it into a container. This is strong medicine to be sure, but worth its weight in gold. This is where you need to make a choice about your aioli. 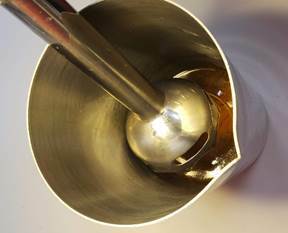 The pan drippings are going to make sure that your flavors marry nicely, but you need to choose the character of the meal. If you are not looking for a particular theme, a little lemon juice and olive oil will brighten things up nicely. If I were making these to watch the game, I would expect hot wings. So you could add a tablespoon of hot sauce here. Siracha, Tabasco, etc. all work well. If you want to round out this flavor with a sweet element, I would add 2 tablespoons of apricot jam. If you were looking for a more Asian flavor profile, I would use teriyaki sauce, a little sesame oil, and finish with a sprinkle of fresh, green onion and sesame seeds. Two tablespoons of apricot jam or orange marmalade would work well here. I would stay away from adding anything too salty – soy sauce, fish sauce and oyster sauce may be a bridge too far. More often than not, I just add apricot jam, but in this example, I only added hot sauce. Add a few tablespoons of olive oil for flavor, and volume. You don’t need to season this sauce at all. Whatever spices remained in the pan will certainly be enough. 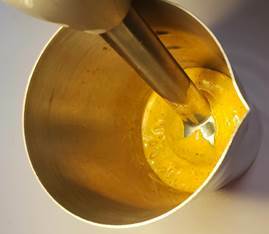 A quick spin with your stick blender will turn your sauce into a rich, thick aioli. Transfer the dipping sauce to bowl and pair it with the chicken lollipops. Serve immediately. The chicken does reheat nicely, but aioli does not. You would need to use the microwave it at 50% power for 30 seconds at a time and stir until it get warm.